We recently awarded great prizes to two lucky growers who participated in our webinars last year. 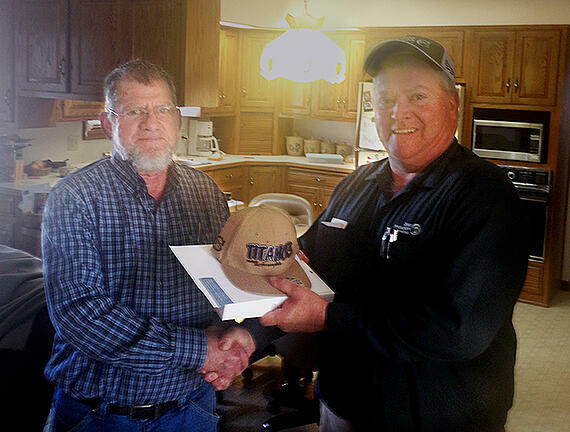 Congratulations to Levi H, of Buck Creek, Indiana, who is the winner of a new iPad®. Levi attended our dry fertilizer webinar, which you can find and watch here. Congratulations are also due to Ron R, of Sabina, Ohio, who won a brand new new GoPro® Camera. Ron attended our residue webinar, which you can watch here. We’ll be announcing our next webinar soon—and we’ll be awarding a $500 gift card to one of our lucky participants, along with a few $50 gift cards for good measure. Sign up for our newsletter to stay tuned. We hope you’ll join us.